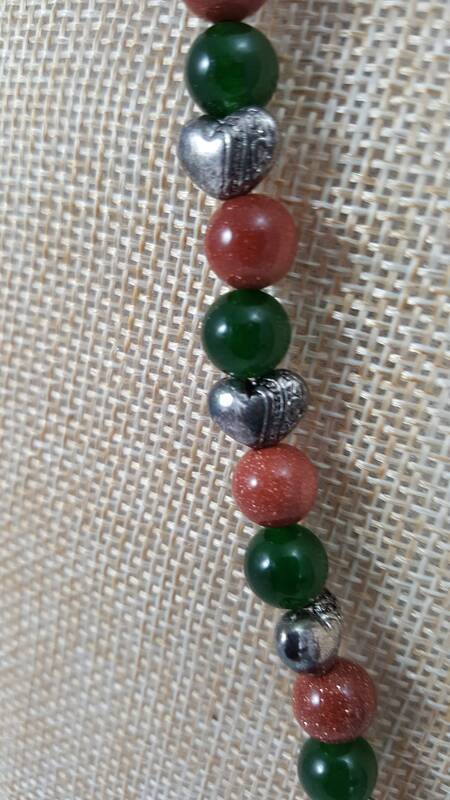 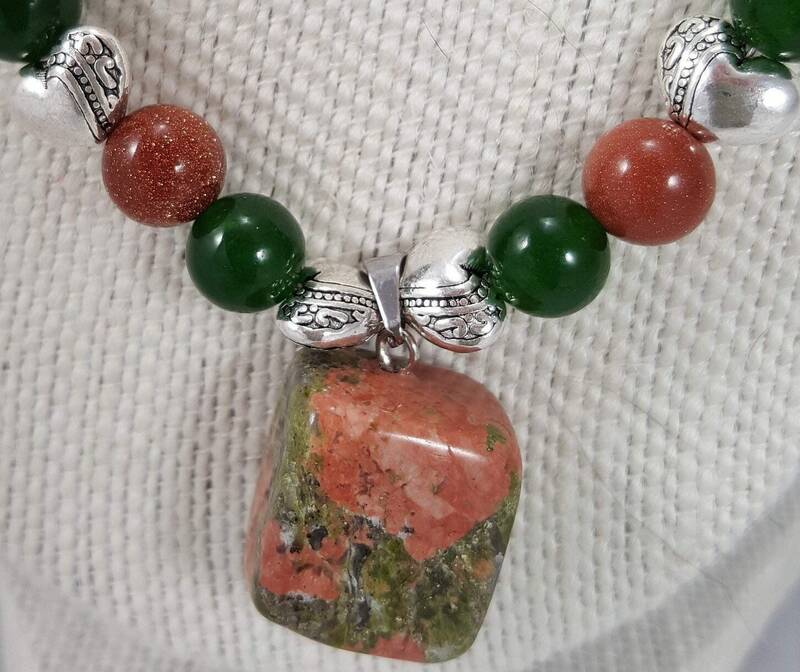 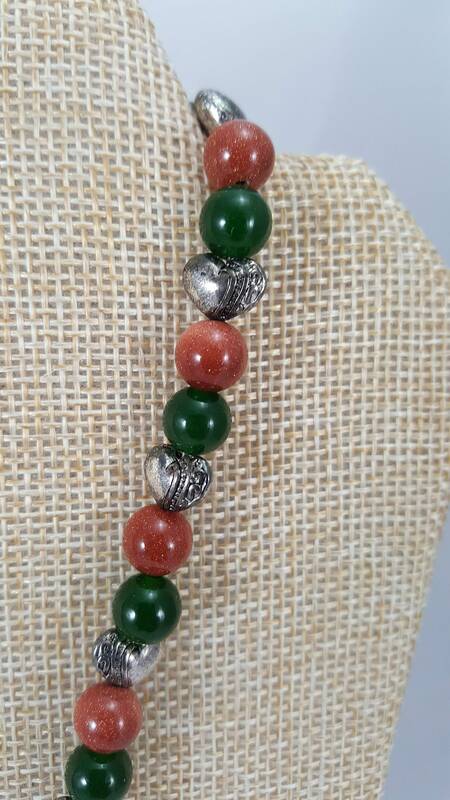 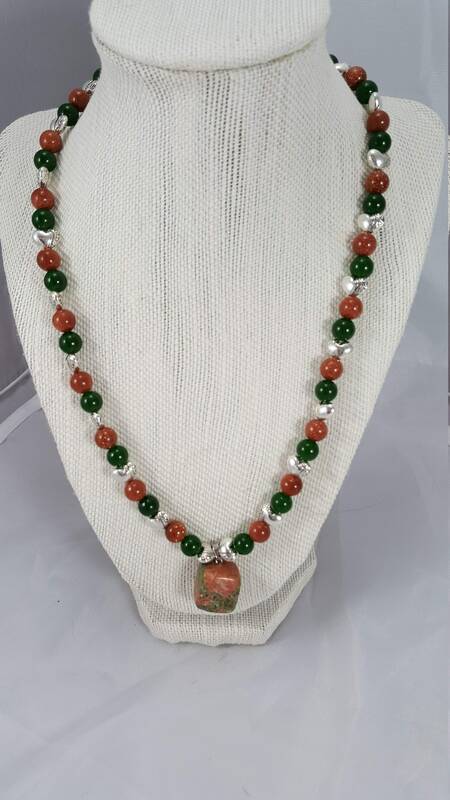 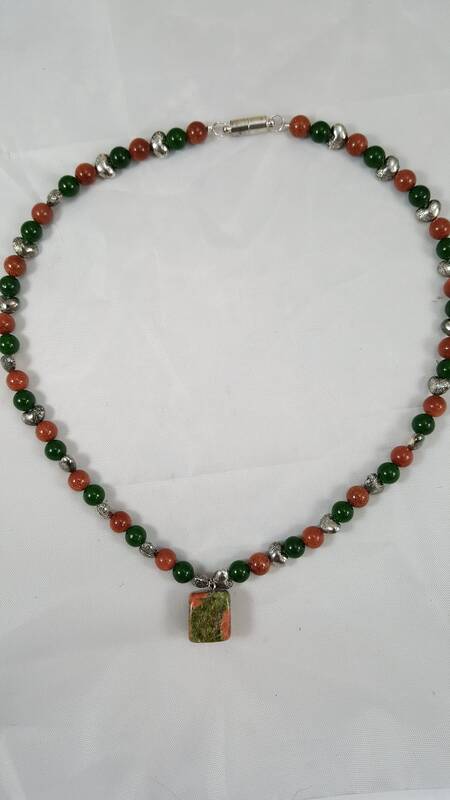 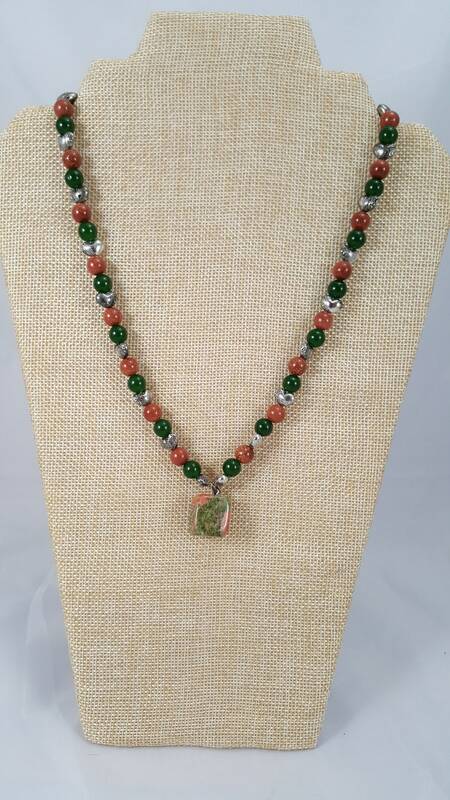 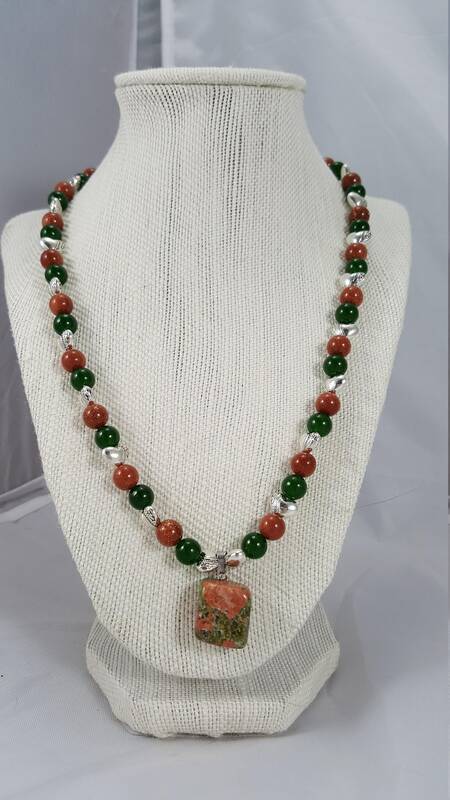 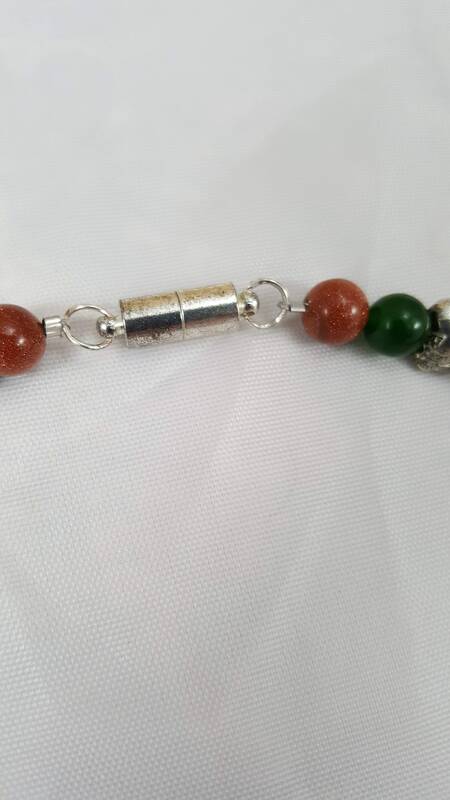 19 Unakite necklace with Emerald green and milk chocolate glass beads adorned with Tibetan silver hearts. 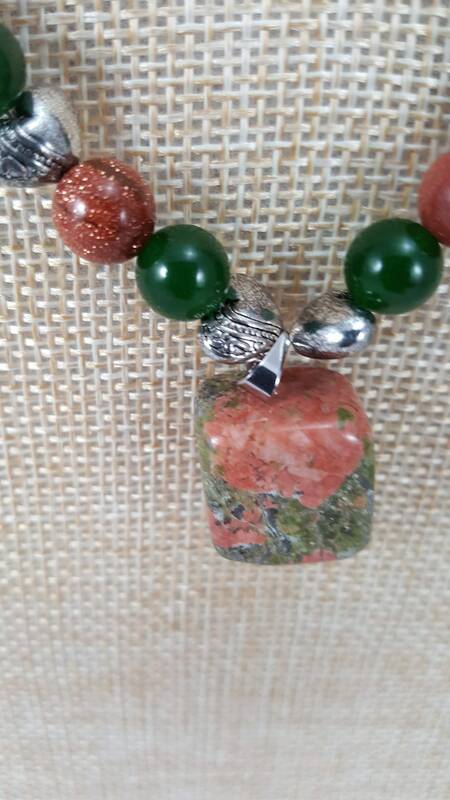 Unakite Stone of green epidot and pink orthoclase pendant with Emerald green and milk chocolate glass beads and Tibetan silver hearts. 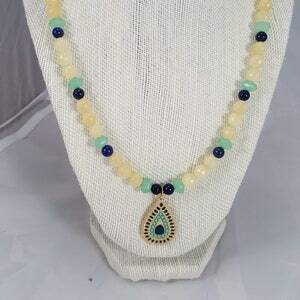 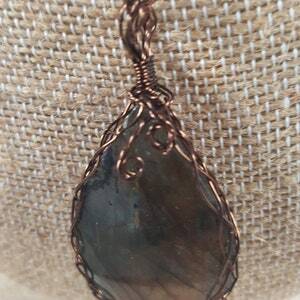 Stone of clarity, named after the Unakite mountain in North Carolina, Sacred stone, helps in meditation by increasing a sense of being in the now. 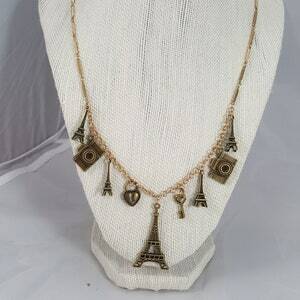 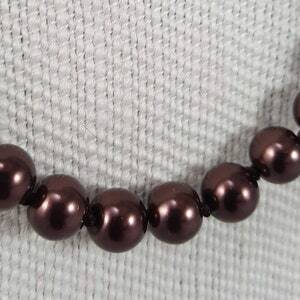 18" premium Chocolate glass pearl necklace with gold pearl clasp.